We don’t always want to carry and look after a bag when we go to events like concerts or parties or when doing sports. On the beach, we don’t want to leave our money behind when we go for a swim. And when travelling, bags can easily get lost or attract thieves. Still we need or want to carry some cash, a bank or key card.The Bodywallet is a simple solution and offers a safe place for valuables. Since it is attached to the body it can’t get lost or stolen. Thieves will not be aware of it as you carry it on your skin. Many tourists are victims of theft or pickpocketing. It’s easier to be distracted while travelling in foreign countries and often we are not paying close enough attention to our belongings. During many sporting activities bags are inconvenient and often sportswear does not have enough pockets to store small valuables. 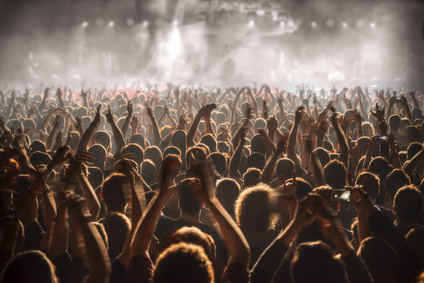 Big events where crowds of people are close together, provide perfect opportunities for thieves. No need to leave your valuables unattended when you are at the beach. Thanks to the bodywallet, valuables can be carried with you at all times even in the water. 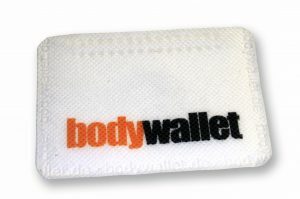 Use the Bodywallet as merchandise product with your own logo print.